The transport, Office space and all associated facilities being provided to these Parliamentary secretaries by the Delhi Government amounts to each of them holding an “office of profit” and a clear violation of Representation of the People Act, 1951. According to law, being public servants elected representatives, MLAs or MPs, cannot hold an office of profit under section 9 (A) of the Representation of People’s Act and Article 191 (E) of the Constitution. Different petitions had been filed with the President seeking the disqualification of these MLAs, appointed Parliamentary Secretaries by the Arvind Kejriwal-led Delhi government on the ground that they occupied offices of profit and were being extended benefits over and above those allowed by the Representation of the People Act, 1951. 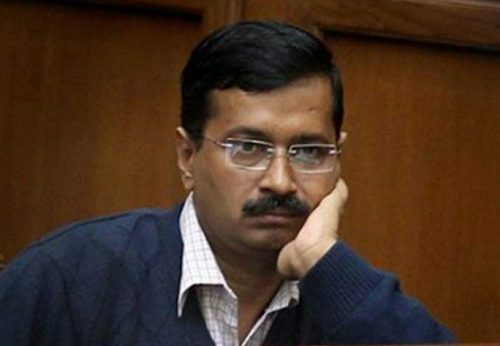 In Delhi an earlier provision only allowed one parliamentary secretary position to the chief minister. The position was kept out of the purview of the office of profit rules after a 2006 amendment bill, when the Congress was in power. The amendment passed by the AAP government clarified that parliamentary secretaries to ministers shall also not be disqualified. There are many instances in the past wherein an elected representative has been disqualified on the above mentioned grounds. In 2006, Indian National Congress President and MP, Sonia Gandhi, resigned several posts under pressure from political opposition who asserted that the posts were ‘offices of profit’ and thus unlawful. Jaya Bachchan was disqualified from the Rajya Sabha from july 14 2004, while she was also chairperson of the Uttar Pradesh Film Development Federation. Two Uttar Pradesh Legislative Assembly members, Bajrang Bahadur Singh and Uma Shankar Singh, were disqualified in January 2015 due to holding government contracts. The Election Commission of India (while recommending the disqualification of Jaya Bachchan from the Rajya Sabha) opined that any post, even if held in an advisory capacity, was an office of profit. This is an open and shut case. The Election Commission must take a final call on the disqualification issue at the earliest. The appointment of 21 Parliament Secretaries is illegal as the prescribed limit for such an appointment in Delhi is only one Parliament Secretary. One Parliament Secretary to the Chief Minister is permitted. Only 6 ministers in addition to the Chief Minister are allowed under the law by which understanding 21 Parliamentary secretaries have been appointed. Not only these appointments are illegal but also declaration in the affidavit as per para 29 is false. The declaration made in para 29 states that they have not taken any benefit from GNCTD whereas the RTI reply received from Speaker of Legislative Assembly of Delhi’s office shows the rooms of which the allocation to these 21 MLAs has been made. Giving false affidavit is an offense under the Representation of People Act. It is so unfortunate that the people of Delhi have been cheated while electing the New-age Tughlaq by the name of Mr Arvind Kejriwal. The Delhi government is the epicenter of nepotism and high quality corruption. The Kejriwal government is “suppressing” the alleged Rs 400 crore “tanker scam” of government in Delhi. Why has there been no action against those involved in the scam despite a report of the inquiry committee formed by Water Minister Kapil Mishra. Till 2013 Assembly elections Mr. Arvind Kejriwal used to lead a campaign against automated water meters popularly called AMR meters but once in power he now wants people to keep using them as evident from the latest approval to new IP68 model of water meters. The BJP wants a CBI enquiry into the corrupt affairs of the Kejriwal Government.